HTC unveils its ‘Pro’ virtual reality headset at CES. Virtual Reality is about to go up a level with the announcement by HTC of their next generation VR headset, aptly named the HTC Vive Pro, which is due out this year. The Vive Pro features two OLED displays with a resolution of 2880 x 1600 and 615 pixels per inch, a 78 percent increase from the 2160 x 1200 resolution of the current Vive headset. 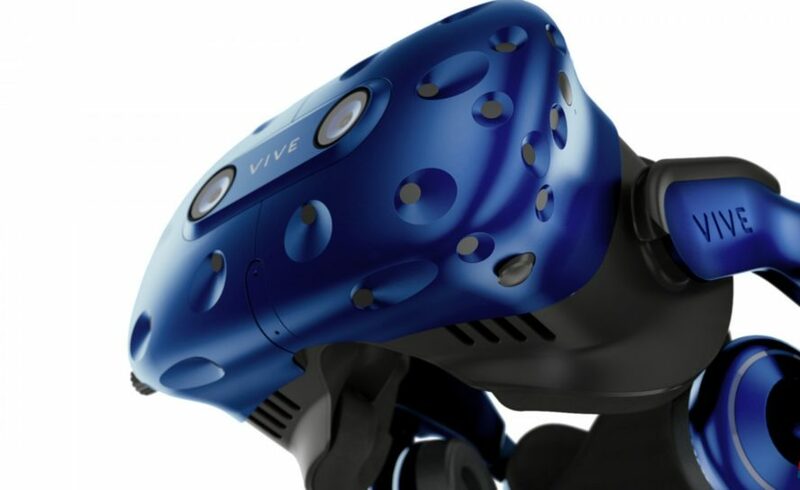 The Vive Pro is designed to be lighter than the existing Vive and will feature integrated high-performance headphones and a more comfortable headstrap with a sizing dial. There are also set to be dual microphones and an active noise cancellation facility that will improve communication along with dual front-facing cameras. The company is also set to introduce a new Vive Wireless Adaptor, which will bring wireless VR to the system and is set to work on both the existing and upgraded hardware. With a lot of attention being grabbed by AR, this is welcome news for the technology although there is still a great deal of interest from the market to see what Apple finally bring to the table when they enter this space, although most well-informed analysts don’t see this happening before 2019. In the meantime, what this means for VR is that HTC will take the technology to another level and certainly puts the pressure on the Facebook-owned Oculus Rift system, which it will now outstrip quite significantly in terms of performance. Much has been made about AR and VR and whether they can compete in the same space but the reality is they are very different experiences. AR enhances your environment and VR transports you to an alternative one. I believe they can both exist, although because of the slightly inhibiting factors around VR, AR will probably take the lion’s share of business over the coming years. Both have much to offer through a number of mediums, including education, health and of course gaming. For more information on the forthcoming HTC Vive Pro check out their website here.